15 Inspiring Design Quotes Wisdom from Design Legends #infographic ~ Visualistan '+g+"
If you work in a creative field, you probably struggle to find your inspiration from time to time. It happens to all of us, and although the creativity and inspiration overflows on some days, on other days it is nowhere to be found. Sometimes we can find our inspiration again by just doing something very simple, like reading a quote that hits home. 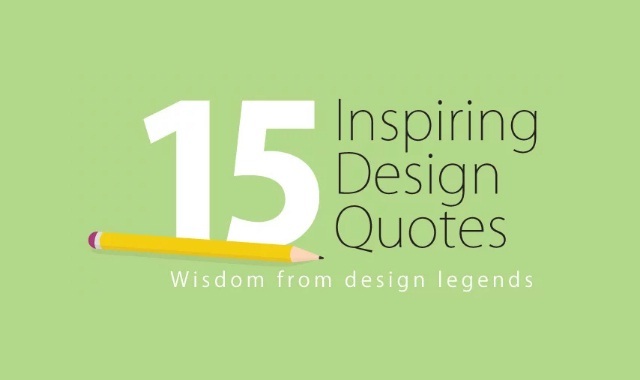 These are 15 design quotes from legends throughout history. If you are a creative person, and especially if you are a designer, you will love these.